You can have whatever you want on these fabulous stars, they're not just for Christmas. 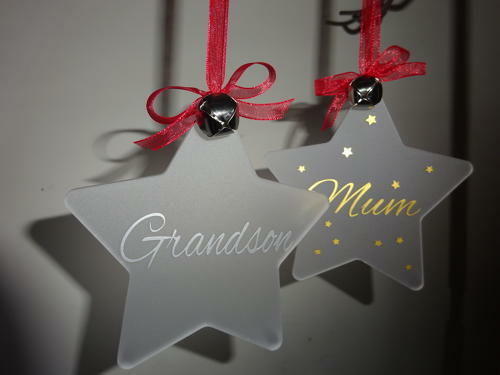 They're made of frosted acrylic and come with a little bell and organza ribbonand bow as standard. Let us know what you'd like on your star by clicking the "exact requirements" button, choose from gold or silver text. Please allow a week for these as they are made to order. Let us know what you'd like on your star.